EarthTronics introduces Micro T2 CFL Light Bulb! Earthtronics introduces their micro T2 CFL light bulb that’s also the very first RoHS approved bulb in America. The T2 CFL light bulb is slightly smaller than your regular light bulb. I like that the company is focusing more on earth than their revenue. Holographic Appearance by Bill Gates in Malaysia! 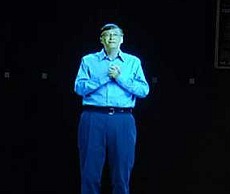 Bill Gates made a “holographic appearance” in Kuala Lumpur, Malaysia at World Congress on Information Technology 2008. Perhaps, he’s trying this new method after being pancaked once and Steve Ballmer being egged the other day. Neverthless, kudos to Gates for trying something new without having to travel. Here’s some videos you can enjoy from the Maker Faire last week! Check out all the fun and excitement at this year’s Maker Faire in San Mateo, California. People from all over the world came to experience this amazing event. Take a look at some of the highlights and make plans to attend the next Maker Faire. Well, these guys were at Maker Faire last year but I missed their show everytime since I had a Maker booth. Btw, you can find more information about these super-gigantic tesla coils over at Lod.org. Remember we featured Touch Tetris way back last year? Well, I saw it in person at the Maker Faire 2008 so I had to post another video of how “cool” it is. You can go here to find out how to make one yourself. 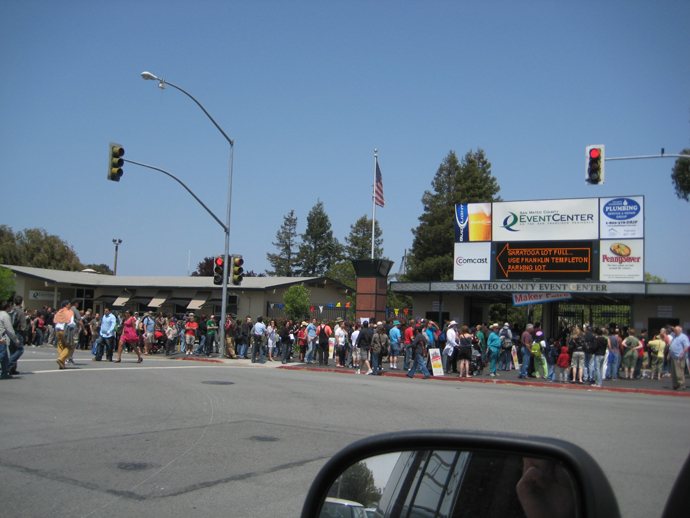 Wow, Maker Faire was a lot bigger this year over at San Mateo Fairgrounds near where I used to work. Anyways, it was a lot of fun watching some cool gizmos, DIYs, and makers but it’s really crowded this year. Wow, this is great structure of woman! 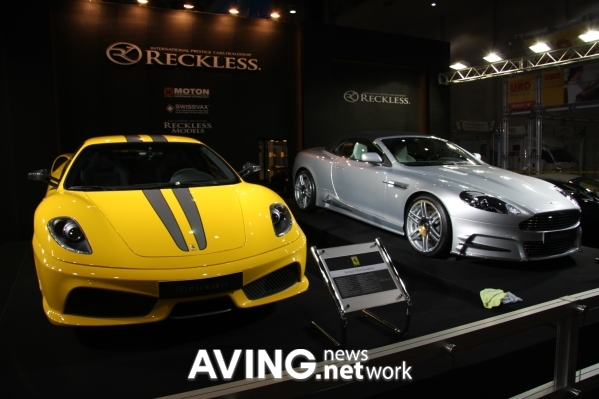 4th Busan International Motor Show 2008 This Week! Pusan International Motor Show 2008 is in town. Where is Pusan? Pusan is the biggest “beach” city in South Korea located almost at the southern edge of Korea. It’s a great place where Korean and Japanese companies can have a tradeshow as it’s the tipping point of South Korea. ThoughtFarmer provides awesome Intranet platform! I ran into this nice gentleman, Chris, a co-founder of ThoughtFarmer.com. They provide IntraNet solutions to your company using easy to use web interfaces where your employees and employers can interact within the company w/o using traditional methods of communication such as e-mail and documents. Web2.0 Expo 2008 – How to build a Web 2.0 Interactive Resume using VisualCV! Well, I ran into this nice lady who explained how VisualCV works at the Web 2.0 Expo. I think it’s a really good idea that they’ve actually made resume into a Web2.0ish interactive media. It’s basically a free service that let’s you build resumes for yourself or even companies. Recap of Web 2.0 Expo – What is Web 3.0 and Semantic Web? Here’s a recap of great stuff I learned through attending the Web 2.0 Expo 2008 in San Francisco this week. All these companies are building new mass collaboration “online” web apps that are basically easy to use and built on wiki platforms.